What Are Home Insulation Services? Smarter home energy efficiency starts with insulation service in Sherwood. The benefits of reinsulating your home are immediate and long-term. Our service even pays for itself in time. If your property is over 20 years old it is likely under-insulated. Insulation isn’t something out of sight you should put out of mind. A home that is poorly insulated cost more to cool, heat, and reduces the lifespan of your HVAC system. At Northwest Weatherization we will identify areas to improve, insulate them, and help you save more every month. Choose local. 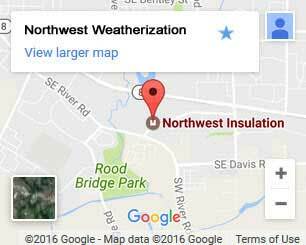 We’re your Northwest insulation experts. Get the knowledge you need and the insulation materials you want. More than 25 years of experience: We insulate Sherwood homes against the cold Northwest weather. Choose local, stay warm. We employ certified technicians: Our companies high standards are set by our certified BPI and PTCS technicians. Manufacturer direct materials: Purchasing windows and insulation directly from JM and Ply Gem reduce costs. Get your free home energy audit: Why wait any longer? Get your free home energy evaluation now! Floor insulation – If your floors aren’t properly insulated, cold air can infiltrate your home 24/7. 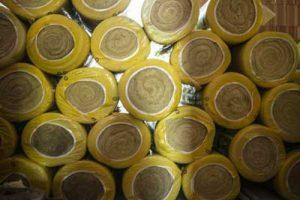 We use vapor barriers and insulation to seal sub-floors. If your basement functions as an added room, we’ll also insulate it. Our technicians use unique products for access hatches, piping, and sub-floors for the greatest benefit. Wall insulation – Walls are responsible for more heat loss than any other area. That’s why we use mold and mildew resistant spray-in insulation to keep temperatures constant. This insulation won’t settle, and molds around pipes and electrical boxes to almost entirely restrict air flow. Wall insulation can reduce heat loss by as much as 2/3. Air sealing – You need air sealing if your system is ducted. Improperly sealed ducts let unfiltered air directly into your home. This air may contain mildew, allergens, mold, dust, and even animal waste. Gaps in your system also compromise efficiency. We seal your ducts to improve your health and save you power. Window installation – Older homes aren’t the only ones with inefficient windows. Improvements in technology are constant, and your windows may already be less efficient than newer models. Let our team install brand new energy-efficient windows in your home and save more every day. 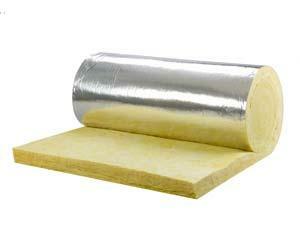 Insulate your Sherwood home. Improved comfort and savings start now. Don’t wait another minute. Call or contact us. It’s the perfect time to schedule your free home energy audit!